The International Panel on Social Progress (IPSP) is a novel attempt at understanding how far we have come and in which direction we should be heading in our quest for a just society. As different articulations of progress pit themselves against one another, each vying for influence on the global agenda, our society is under a great deal of pressure to be reflexive about how we know what we know. Conclusions have been drawn in different fields and on many issues. However, there is a need to come together to discuss how these understandings of our world have a bearing on our collective futures and on issues of justice, responsibility and solidarity – a task requiring inter-disciplinarity. When we consider the myriad interconnected and sometimes subtle ways in which society is affected by change, it is difficult to determine what exactly has had an impact and in what ways those impacts have in turn affected people’s lives in a cumulative way. What progress means is neither apparent nor neutral as it requires an interpretation of such complexities. We also need to determine, as a society, the kinds of power and influence our current systems of accountability allow, which elements of our day-to-day lives we are willing to accept or should deem unacceptable and the ways that we organize ourselves so that governance tends to those shared values in a , bearing in mind that not everyone is able to influence the systems that shape their daily lives. Recent social, economic and political shocks to the global system have made social progress a particularly salient issue. It is time to take stock, to understand more deeply and openly the kind of world we have created and the potential impacts of the ways we have gone about developing and envisioning progress. This need for a reflexive and interdisciplinary vision of progress sets the tone of the work going into the IPSP. At the 4S/EASST Conference in Barcelona, we had the opportunity to reflect on the ways in which Science, Technology and Society (STS) can contribute to this incredibly complex and pivotal understanding of social progress. We were given an overview of some of the reflections of STS scholars who are contributing to the development of the twenty-two chapters of the Report. The deeper the discussion became, the more striking the relevance of STS across the different issues appeared to be. The pathways that STS’ critical questioning enables, have found meaning in this vast chasm brought about by uncertainty in social progress, the debatable problem constructions and disconnected visions of the future. STS is concerned with process, how knowledge is made, for whom and by whom and its articulations become meaningful when it provides a perspective that closely reflects on the reality faced by knowledge producers themselves. The close involvement in the chapter-writing process has provided STS scholars with a remarkable opportunity to point out the value of STS as knowledge is being made. Moreover, the conversations and joint reflections on social progress can be enriched by the articulations that STS provides. These articulations include reflections on the role and influence of experts and expertise in framing and authority, reflections on power, ordering and governance and the social-construction of science and technology. STS perspectives on the policy process challenge policy-makers’ preferences for a linear model of progress, wherein the expectations of policy-makers are met with positivistic ideas of science and technology and their goals systematically envisioned as incremental solutions to pre-defined policy questions. STS requires a different way of envisioning the science-policy relationship, as one that is far more intertwined with science, policy and society, contributing instead to the co-production of knowledge and social order (Jasanoff 2004). Change, as STS sees it, is something that should be negotiated with society if controversies are to be avoided. By stressing the social construction of science and technology, STS emphasizes the ways in which knowledge is made and how it is socially contingent, rather than objective or easily transplanted to policy contexts. STS roots its analysis of policy-making in the realities of knowledge production, considering how social contexts contribute towards the settling of facts, the different interpretations of evidence and truth, and the limits of change. The value of an STS perspective in the IPSP is thus brought to the fore as experts attempt to develop knowledge that is both a true reflection of what has been and of what should be done. If the STS perspective is indeed influential, the likelihood is that the expert advice in the reports alludes to more and different policy pathways than would be traditionally expected by policymakers. The contemporary context is one in which experts as well as scientific knowledge play a central role in politics yet they no longer hold the unquestioned authority and public trust they once did (Maasen and Weingart 2005). If we are to restore trust in governance and in the institutions that we entrust to maintain order in our lives, they should be made to reflect the diverse needs of communities around the world and protect the common values that bind us in our quest for a just future and reflect the kind of social progress that is sensitive to context and difference. As a collective group of academics, the IPSP is discussing the implications of global articulations of progress and how these ideas shape and influence the way we see and think of social groups and the kinds of things that influence them. Care needs to be taken to avoid the reification of difference, while the case is being made for equality and solidarity. STS is sensitive towards the effects of collectives, the assemblages that develop and the hidden power to shape interests and agendas through technologies of governance e.g. indicators, technical guides, organizations, practices, codes and rankings (Davis, Kingsbury, and Merry 2012). At the same time, a balance needs to be struck between governing institutions and local communities in shaping claims of justice, solidarity, responsibility, leadership and inequality. This implicates accountability practices, which need to question and align such processes as the courts, arbitration and peer-review. Global articulations attempt to apply norms to different countries and appeal to framings such as human rights as a means of harmonizing those efforts. Facts and technologies appear to be global but can fail to mean the same thing in different places. If a global vision of social progress is to be reached, the understandings should pay attention to the power of framings and their implications on local experiences. It is the hope of the STS scholars involved in the IPSP that these reflections shape the articulations of issues in the chapters. The IPSP is modeled on the Intergovernmental Panel on Climate Change (IPCC) in the way that it enrolls experts in the writing of the report. Early in its establishment, the IPCC was criticized for its imbalanced geographical representativeness (Agrawala 1998), and took steps to remedy this problem. The IPSP needs to remedy its representation of authors if its work is to be seen as a credible and legitimate global endeavor. 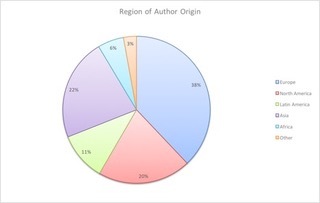 Figure 1 shows the low participation of African and Latin American authors in the IPSP. The IPSP has the potential to provide a different kind of assessment that is both reflexive and interdisciplinary. STS has an opportunity to demonstrate the many ways in which its articulations are useful and can enrich the dialogue in a powerful way. This is a step in the right direction, however, knowing that there are social conditions that determine the acceptability of expert knowledge, it is important that STS influences the reflections further so that the global community recognizes the products of this endeavor as credible and legitimate. Agrawala, S. 1998. “Context and Early Origins of the Intergovernmental Panel on Climate Change.” Climate Change 39: 605–20. Davis, Kevin E., Benedict Kingsbury, and Sally Engle Merry, eds. 2012. Global Governance by Indicators: Global Power through Classification and Rankings. Jasanoff, Sheila, ed. 2004. States of Knowledge: The Co-Production of Science and Social Order. Routledge. Maasen, Sabine, and Peter Weingart. 2005. Democratization of Expertise? - Exploring Novel Forms of Scientific Advice in Political Decision-Making. Springer. Sameea Ahmed Hassim is an Erasmus Mundus PhD Fellow at the GEM PhD School in a joint program between LUISS Guido Carli and the Université Libre de Bruxelles. She was a Visiting Student Researcher at the Center for Science, Technology, Medicine & Society at UC Berkeley and a Visiting Researcher at the Center for International Studies at Université de Montréal. 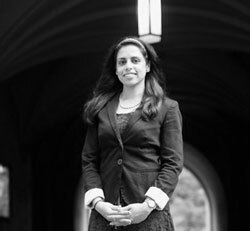 Her research focuses on knowledge production at the interface between science and policy in global health science and technology governance. Previous ArticleExamining planning ‘by other means’: reflections on STS and planning from 4S/EASSTNext ArticleDoing and Talking Research Excellence: By Other Means?